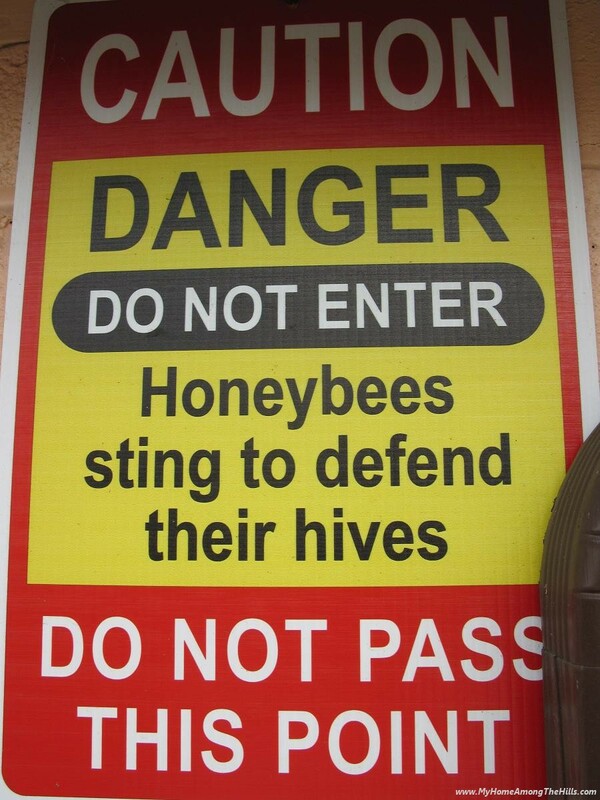 how about bringing 2 bottles of that wonderful honey up next time you come. I have a couple people I’d like to gift. Oops! That will save me shipping costs right. Just handling…. 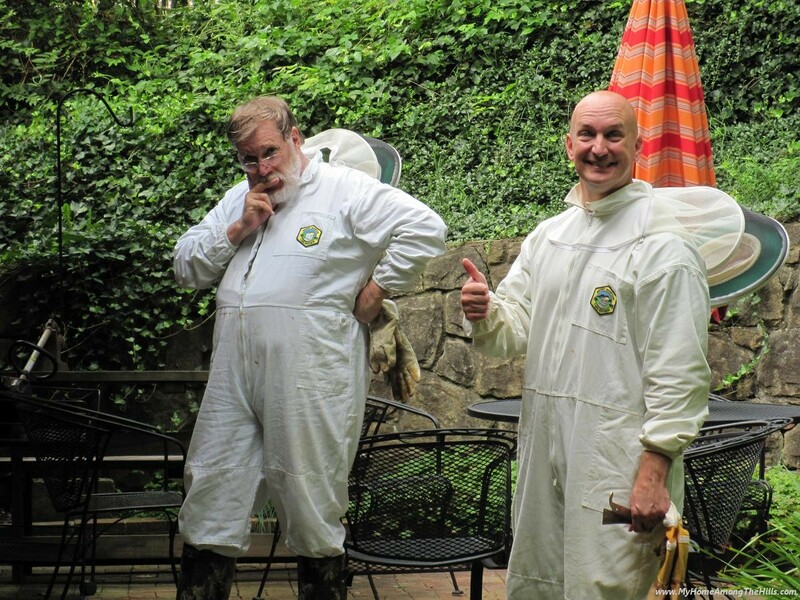 You are soooo concerned about your bees – not using a smoker because you “don’t want them to get a smokers cough”. HA! – You just can’t keep the darn thing lit!!! So if you take away all of their food, what do they eat? .-= Caprilis´s last blog ..Way Back Birthday Boy =-. Maybe a dumb question but would it be easier to bring extractor (and grandparents) to the hives? I’m picturing trails of honey all over the van. Meanwhile I’m happily stripping dried oregano off its stems and glad to leave the whole bee thing to the experts. I’m so jealous!! 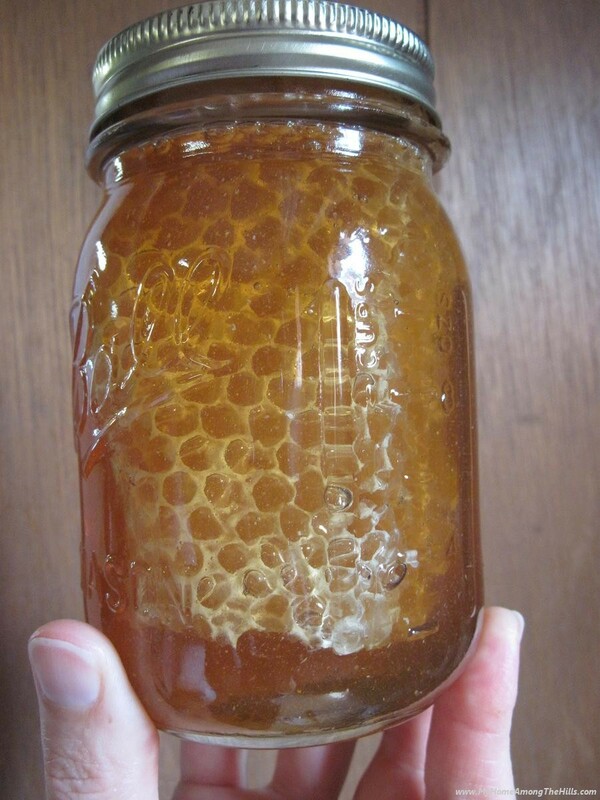 The honey looks fabulous!! I wanted to start a hive, but hubby will have no part of it. 🙁 I LOVE homegrown honey!! I too am wondering what you feed them over the Winter, or do they hibernate? .-= Gizmo´s last blog ..Top Finished…Finally. =-. 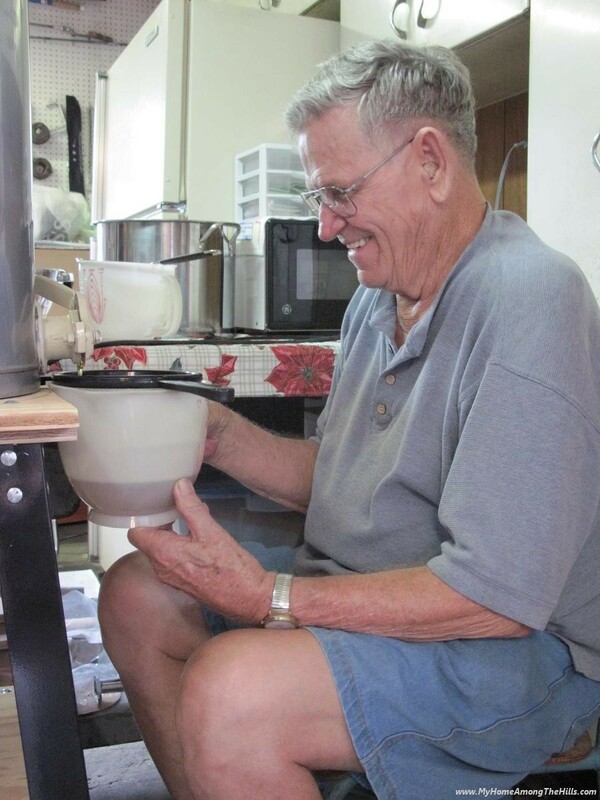 .-= tipper´s last blog ..Putting Up Corn =-. .-= Evil Twin’s Wife´s last blog ..Ice Cream Man =-. Mom – I forgot it! Emily – ever hear of family secrets? Caprilis – there is another honey flow comprised mostly of goldenrod and aster that I do not harvest. They pack the excess honey from that into the deep boxes to get them through the winter. If we get a bad fall flow, I feed them sugar water as well. 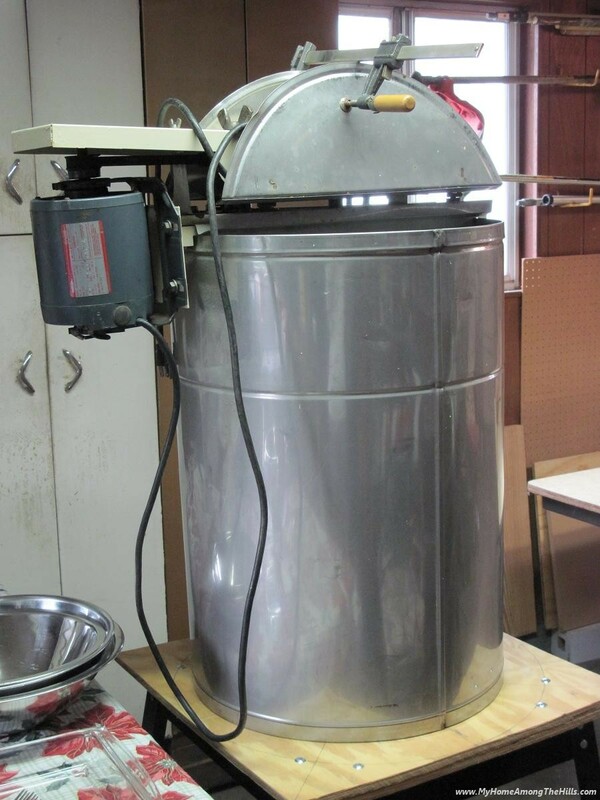 Diane – one would think it would be easier to move the extractor but extracting honey is so messy, we only want to do it one time and in one location. 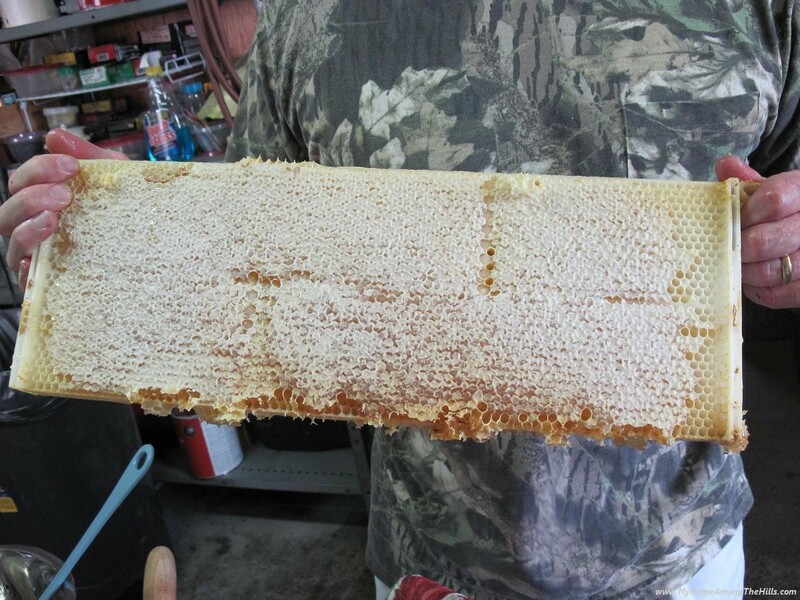 We’ve found that hauling the honey supers isn’t too messy. We put down a plastic mat first before we load up. The location we use is the best size-wise as well. It takes a good bit of room to manage all the stuff that has to go on during extraction. Gizmo – bees don’t hibernate so they definitely need food over the winter. 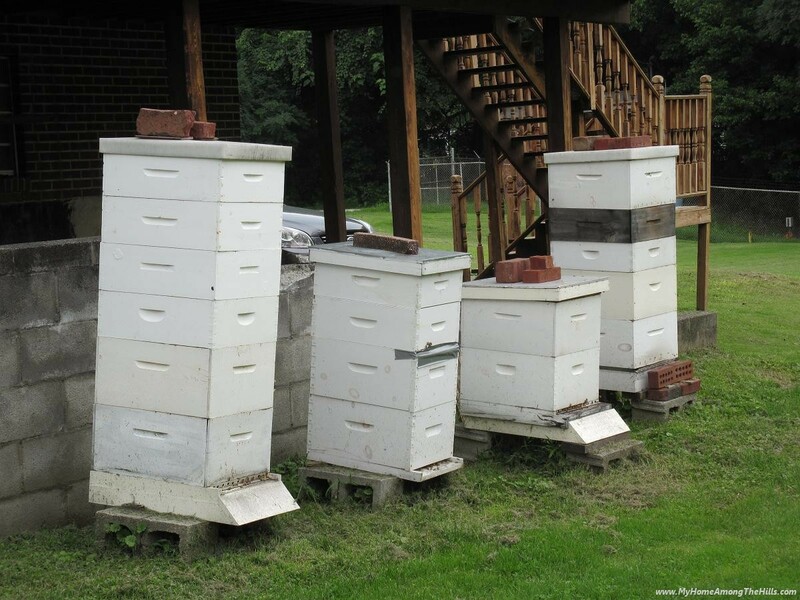 They slow down some in the extreme cold but they maintain the colony (not hive…that is, the cluster of bees stays warm even if the entire wooden hive does not) temperature in the 80s to 90s by balling together and creating friction. I mentioned above that they will get another flow of honey in the fall when goldenrod and asters and other fall flowers bloom. They keep that harvest. 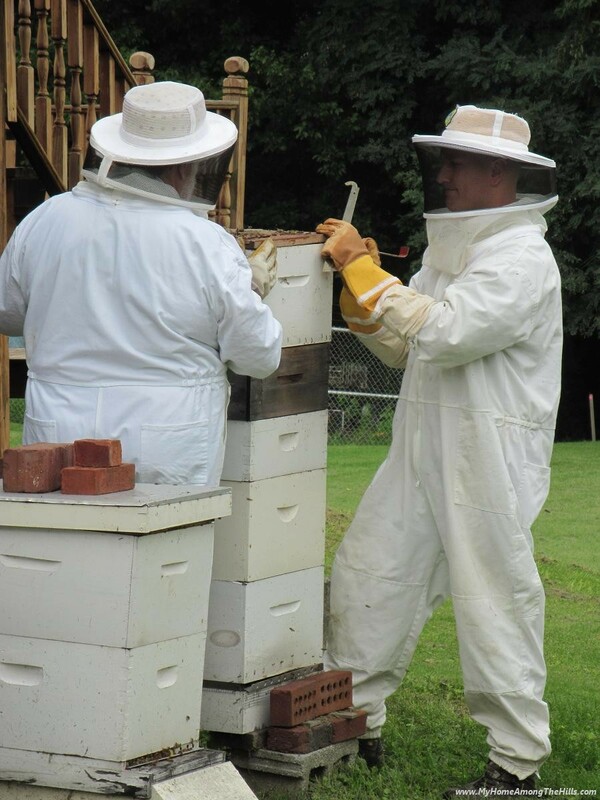 tipper – we believe in the saying “never muzzle the ox” when harvesting honey. Everyone can eat as much as they can handle during harvest! It is yummy! 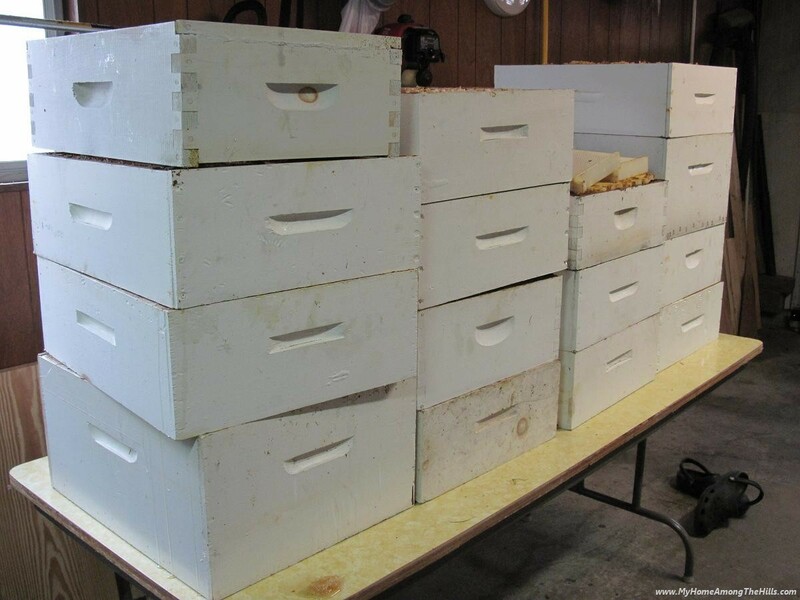 ETW – the bees work pretty hard, but honey harvest is some of the hardest work I have ever done…it’s hot and sticky and long and often “stingy”. Still, I sort of dig it in some sick way too! 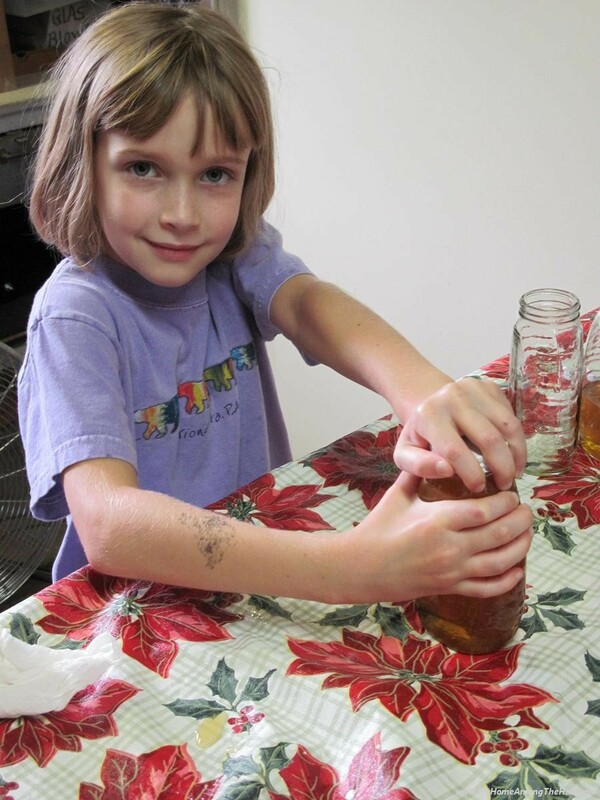 What do you do with 176 pounds of honey? Sell it? Eat it? Give it away? .-= Capri Kel´s last blog ..The Do-Over Day =-. Erin – you are sworn to secrecy! Capri Kel – we sell most of it and eat the rest! Warren, do you ship your honey to far away places, like, to Maine? Or, does Gizmo ever stop in, on her way to far away places, like, to Maine and could pick up some? 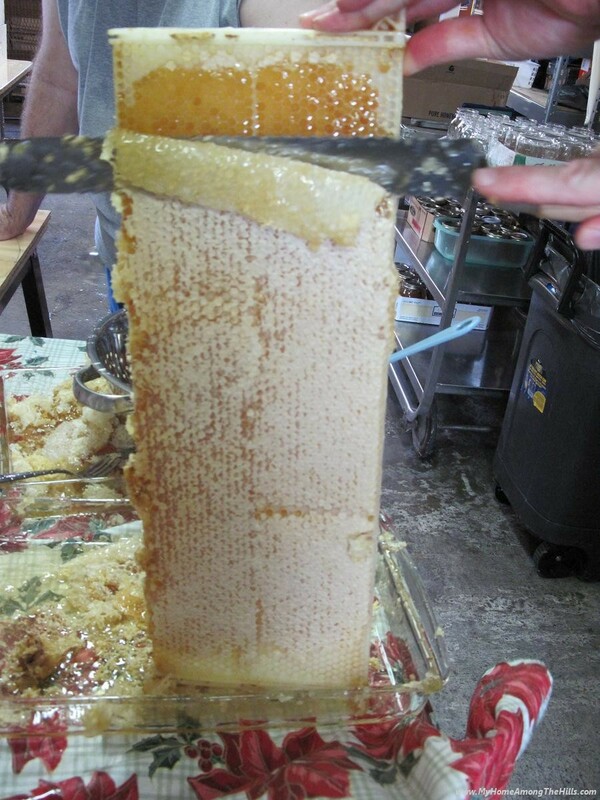 I LOVE “real” honey….. I never have shipped honey but I suppose I could. I have no idea if there is any regulation regarding shipping honey or liquids in general. I’ll check. Gizmo could certainly stop by but has not yet! 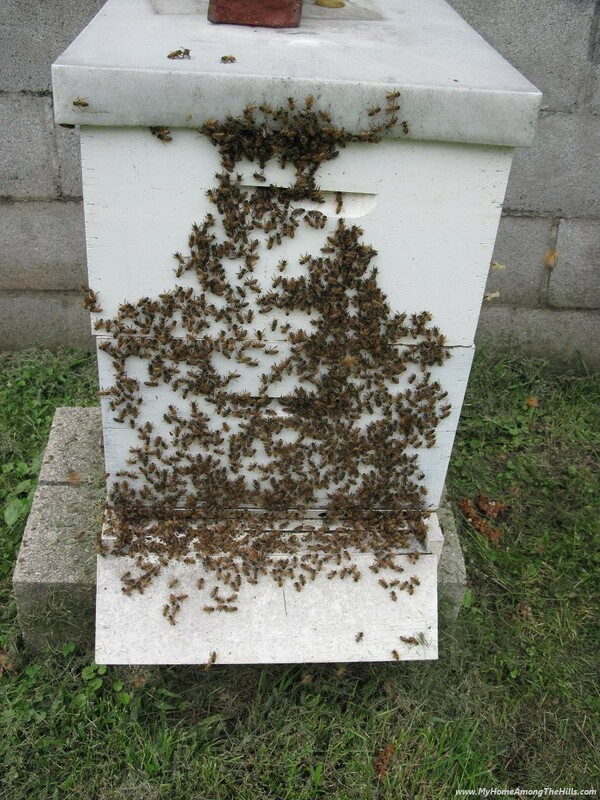 Bee keeping is very exhilarating. I am amazed on how these tiny creatures make something so sweet from day after day of collecting.